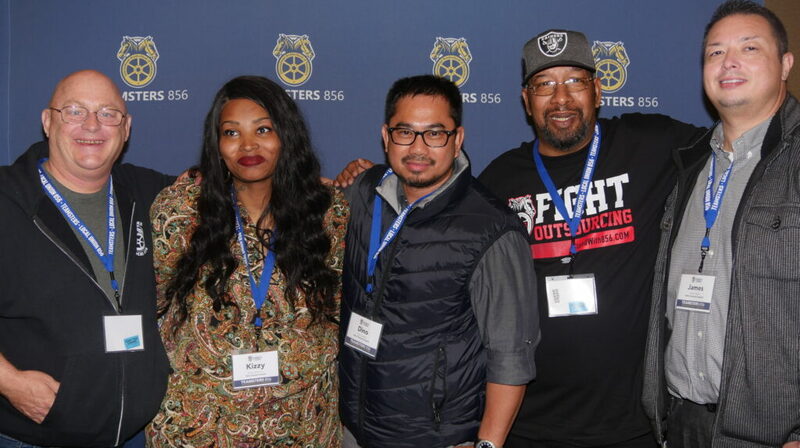 The members of Teamsters Local 150 who work at Avis Budget Group (ABG) recently ratified their richest contract ever—in Sacramento and perhaps in the nation. “The Vehicle Service Agents (VSAs) are a strong and unified group at the Sacramento International Airport who were determined and fearless when it came to the negotiations,” says Business Agent Nancy Jones. The negotiating process with the company began in a rather heated style, but neither Jones nor long-time Shop Stewards Kenny Peel or Salesh Prasad were willing to tolerate any antics. The Teamsters 856 members in the Environmental Services (EVS) department at Marin General Hospital (MGH) take pride in keeping the hospital clean. Their work is critical to the patient care experience because they ensure the hospital is a comfortable place for patients to be seen and receive treatment. (San Francisco, Calif) – The 33-second message begins with images and voice over of Mayor London N. Breed at her recent Inauguration at San Francisco’s City Hall; her first day on the job. 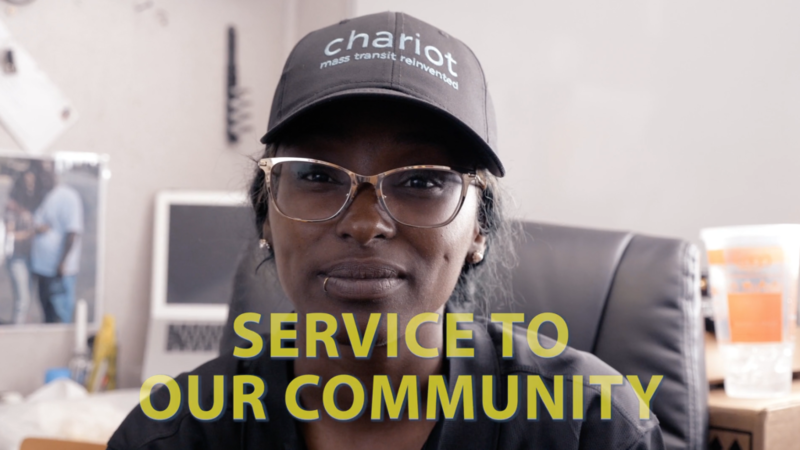 After a brief iconic image of a San Francisco Cable Car, the message cuts to shots of Teamsters 665 members performing THEIR jobs: at Avis Rental Car, Chariot Transportation and at a city parking facility. 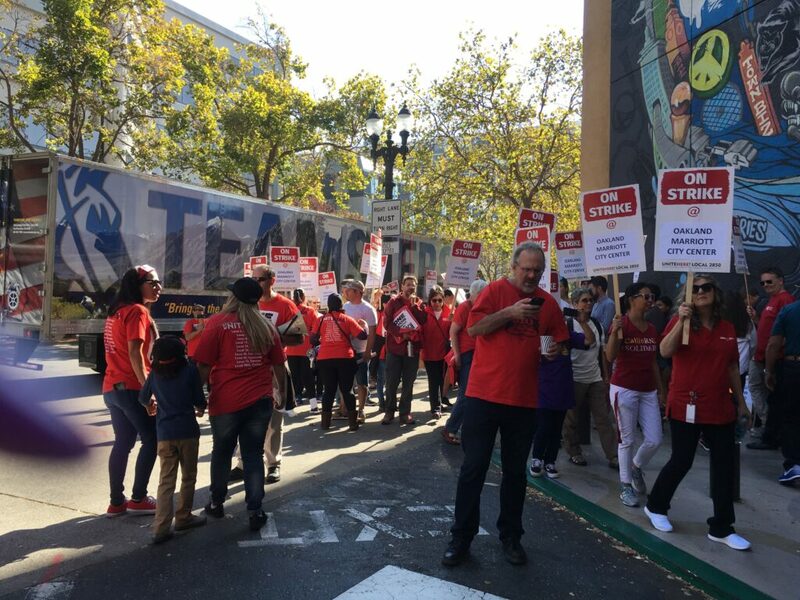 “One Job Should Be Enough” – that was the rallying cry for the Hotel and Restaurant Employees Union who have been on strike for three weeks at Marriott Hotels in Oakland, San Francisco, San Jose, and around the nation. On Saturday, October 20, the HERE workers were surrounded by hundreds and thousands of supporters in a day of solidarity, and the Teamsters were there. The childish admonishment, “If you don’t like the law, change it,” emanated from a powerful, and red-faced general contractor who was having a “slight” disagreement down in Fresno with Local 853 Business Representative and International Representative, Stu Helfer. Evidently, Stu had stirred-up the ire of this particular contractor simply by demanding that Teamster work should go to Teamsters. Most people would have dismissed the contractor’s harsh words as hyperbole … but not Stu. On June 6, 2018, after almost a year-long fight, the arbitrator in Jaime Rivera’s grievance ordered San Francisco-based Recology to immediately reinstate him with full seniority and make him whole for any wages and benefits lost as a result of his wrongful termination. “The business agents were upfront, they said it would take a while. I had never been in a situation like this before, or in a trial or court setting. We’d start at 10:00 am and end at 7:00 pm. 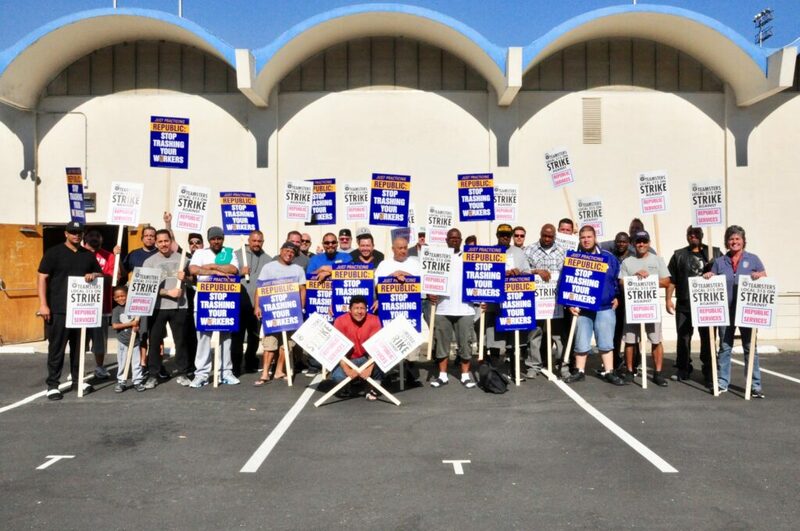 Teamsters Local 315 members pushed for contracts from Republic Services that guaranteed safety and parity among workers. With good agreements in hand at West County Resource Recovery, West Contra Costa Sanitary Landfill (Golden Bear Transfer Station), and Richmond Sanitary Services’ (RSS) Garbage and Recycling Divisions, members at the four Contra Costa facilities ratified their deals. Local 856 members in San Francisco recently ratified a new agreement at 23 of the top hotels in San Francisco including the Fairmont, the Palace Hotel, and the Clift Hotel. The new contract builds upon the strength of their previous contract and covers more than 1,000 members who work in reservations, front desk, concierge, and accounting. “This agreement is one that we all worked hard on and one that I believe is second to none in the hotel industry,” said Local 856 President Mike Lagomarsino who led negotiations along with Local 856 Secretary-Treasurer/Principal Officer Peter Finn. The tech workers start lining up before 7 a.m. to get on buses in the Castro district of San Francisco to be driven down to companies like Apple, Google and Tesla in Silicon Valley. 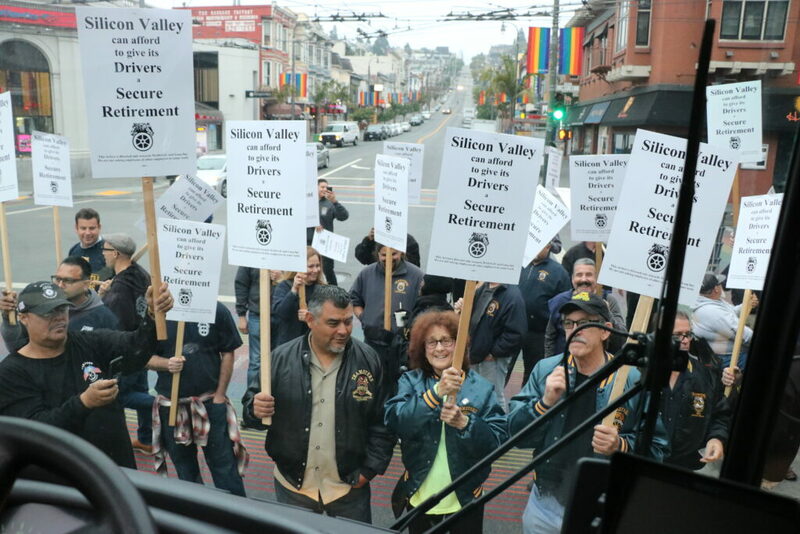 On August 16, their routine was scuttled as nearly 100 Teamsters came to the active bus stop to press the shuttle bus companies for a master agreement that includes a pension plan. Blocking buses for 3-5 minutes each, the Teamsters let the tech passengers know that their drivers were seeking a better deal.